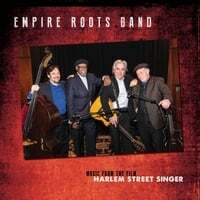 The Empire Roots All Stars Band features a line-up of New York’s most celebrated blues/ roots artists; Dave Keyes (piano), Woody Mann (guitar), Bill Sims Jr., (Vocals) and Brian Glassman (bass). Coming together for the first time as the feature group for the film Harlem Street Singer, which tells the story of Reverend Gary Davis, the band celebrates the music of the Reverend with new interpretations of his classic blues and gospel repertoire plus their own original material. Empire Roots consists of America’s top ambassadors of roots music. Between them they have toured the world performing and recording with the most important artists from the blues, folk and jazz worlds. Dave Keyes has worked with Odetta, Bo Diddley, Tracy Nelson, Ruth Brown, Gladys Knight, David Johansen, Darlene Love, Lou Rawls and bluesman Popa Chubby among many others. He has served as music director and conductor for Broadway shows, national TV shows and in 2014 was nominated by the Blues Foundation for the Blues Music Award for best piano instrumentalist. Warner Bros. recording artist, Bill Sims, Jr. is an accomplished music director for blues theatrical productions including Lackawanna Blues and Miss Ruby’s House in addition to his live performances. He has recorded extensively and was featured in the critically acclaimed US National Public Television documentary, “An American Love Story”. Brian Glassman has toured the world as an American Musical Ambassador for The U.S. State Dept. and performed with Paquito d’Rivera, Bucky Pizzarelli, Lionel Hampton, Kenny Burrell, James Moody, Gary Burton and Randy Brecker. In addition, Brian has toured with Klezmer / Yiddish and Jewish music stars such as The Klezmatics and Andy Statman. 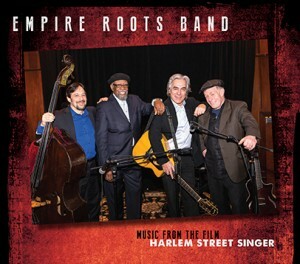 Guitar virtuoso Woody Mann is the driving force behind The Empire Roots All Stars Band. As one of the producers of Harlem Street Singer, Woody learned guitar directly from Reverend Davis and performed & recorded with blues masters Son House and Bukka White. He tours the world as a solo performer and has schooled countless guitarists through his many books and DVD’s. Woody is currently a visiting artist at Berklee College of Music. Together, these celebrated artists come together to pay tribute to the masters they learned from and bring the past to the present with their own improvisational style.